Nikki Haley may be leaving her position as US ambassador to the UN at year’s end, but she’s still got a trick or two up her sleeve before she goes. Right now it’s a U.S. resolution to condemn Hamas rocket attacks against Israeli civilians, the launching of incendiary device balloons into Israel, and Hamas terror tunnels that burrow deep into Israeli territory. The resolution will also focus on the use of civilian resources to feed the Hamas terror machine. 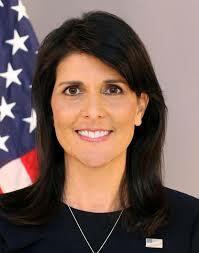 It’s only natural that Haley is cooperating with Israel’s Ambassador to the UN, Danny Danon. The two have worked on other, similar projects. Israel and the U.S., after all, are wonderful allies, even if most of the love aimed at Israel during this current administration is coming from Republicans.